MIAMI, Fla., June 14, 2011 (SEND2PRESS NEWSWIRE) — Southeast Computer Solutions (www.southeastcomputers.com) announced today that it was listed on Bob Scott’s Insights Top 100 VARs. The ranking of the Top 100 mid-market reselling firms is based on revenue for 2010. Southeast Computer Solutions specializes in manufacturing, distribution and warehouse management solutions in the U.S., Caribbean and Latin America. In addition to increasing the number of technology, solution and implementation staff, earlier in the year, Southeast Computer Solutions developed and released Payables Retention Management (PRM) module to complement Sage ERP MAS 500 for Latin American companies. 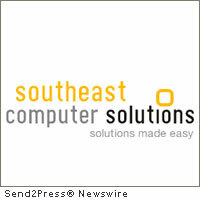 Southeast Computer Solutions has been an IT consulting firm and Sage Authorized Reseller since 1985. In addition to being recognized on Bob Scott’s Insights Top 100 VARS, Southeast Computer Solutions was also named to Accounting Technology’s VAR 100 list in 2010. Headquartered in Miami, Southeast sells, implements, customizes and supports Sage ERP MAS 500, Sage ERP MAS 90 and MAS 200, Sage CRM SalesLogix, Sage Accpac, Sage Abra HRMS, and Sage Add-Ons. With over 600 installations across the United States, Caribbean and Latin America, Southeast Computer Solutions is the largest Sage reseller in Miami. Original Keywords: ERP solutions, Bob Scott Insights Top 100 VARs, Sonia Ferrera, Top 100 mid-market reselling firms, value added reseller, manufacturing, distribution and warehouse management solutions in the US, Caribbean and Latin America, Florida business news, Sage ERP MAS 500, Sage ERP MAS 90 and MAS 200, Sage CRM SalesLogix Southeast Computer Solutions Miami Florida MIAMI, Fla.
REFERENCES: Awards and Honors News, ERP solutions, Bob Scott Insights Top 100 VARs, Sonia Ferrera, Top 100 mid-market reselling firms, value added reseller, manufacturing, distribution and warehouse management solutions in the US, Caribbean and Latin America, Florida business news, Sage ERP MAS 500, Sage ERP MAS 90 and MAS 200, Sage CRM SalesLogix Southeast Computer Solutions Miami Florida MIAMI, Fla.